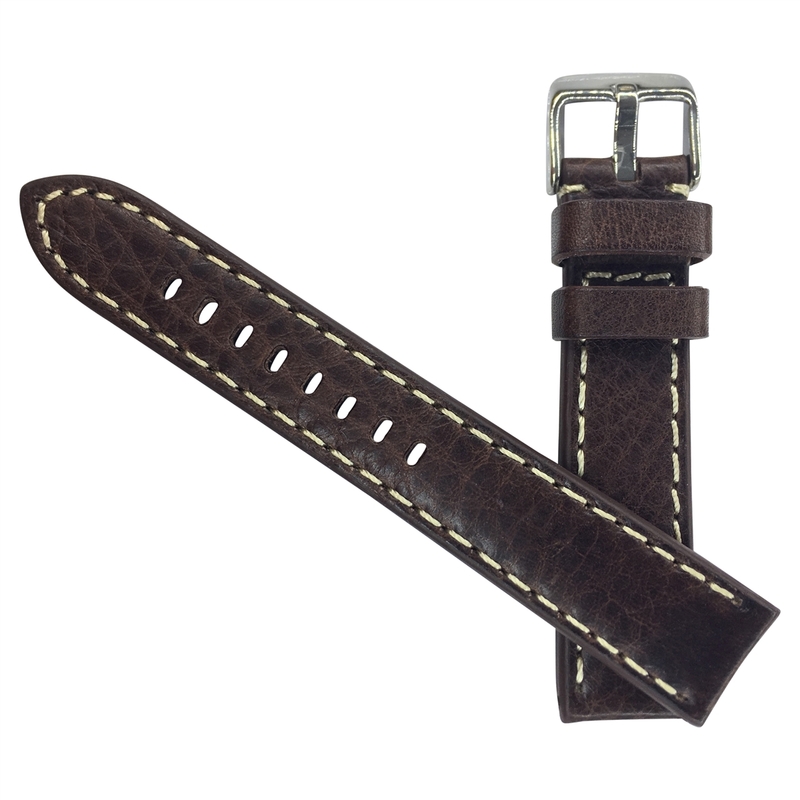 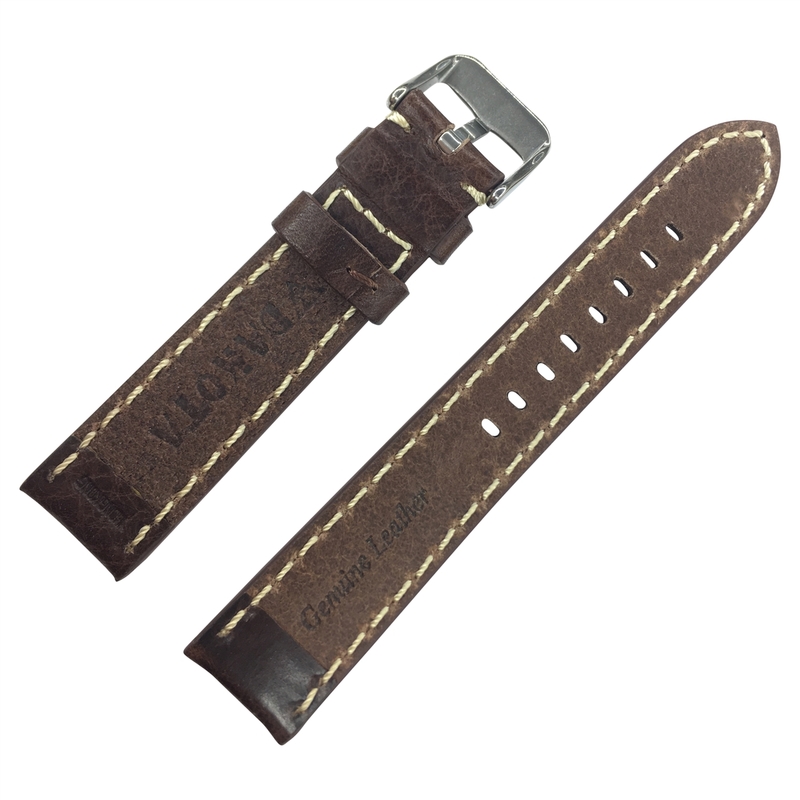 DAKOTA brand Dark Brown oil shrunken, thick-padded, genuine leather Watch Band. 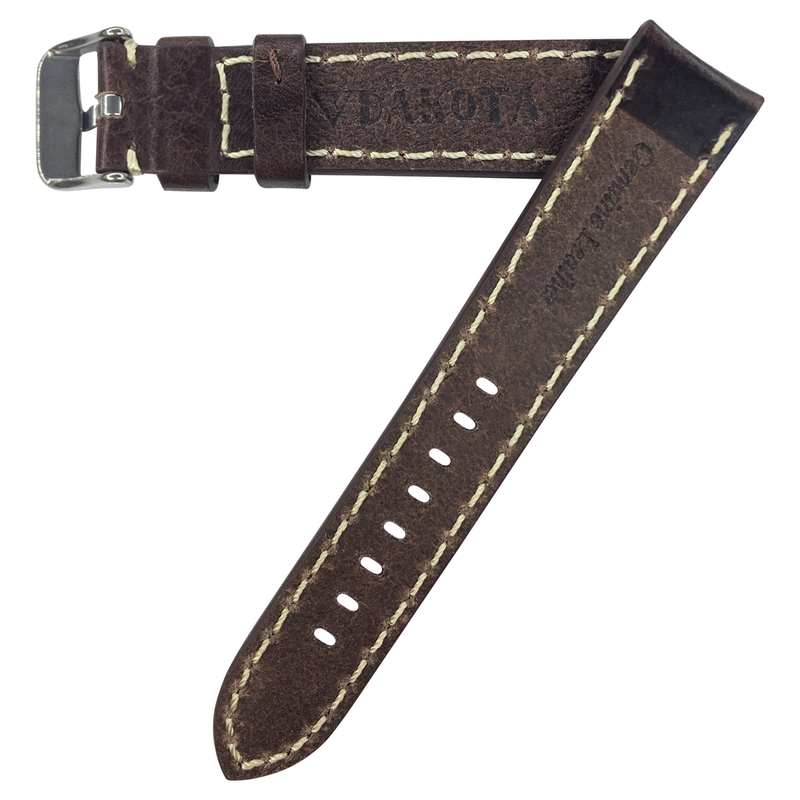 DAKOTA Stainless Steel buckle stays strong for years of wear. 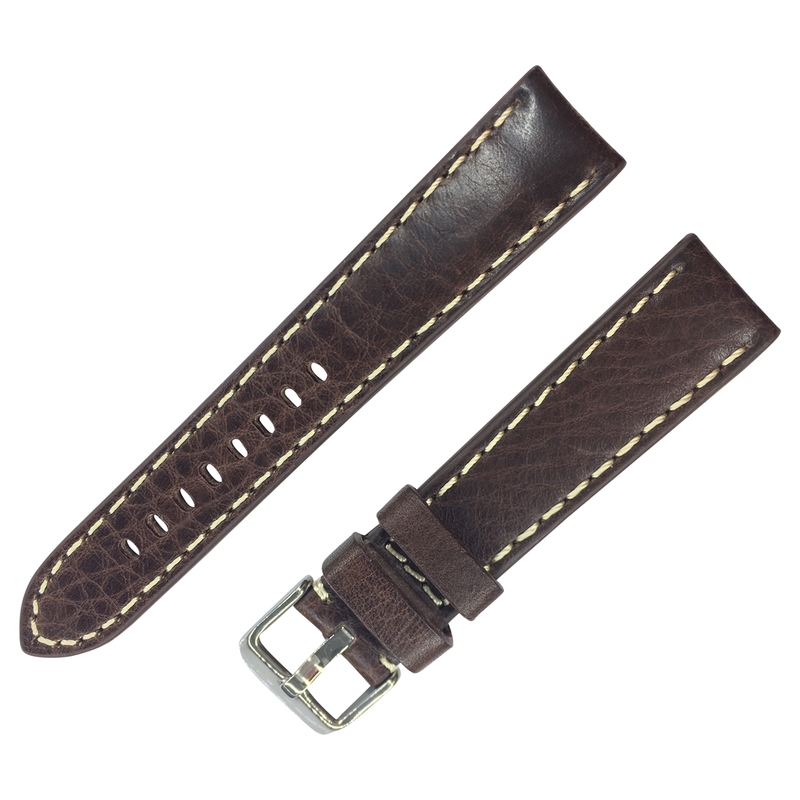 Double loop (keeper) design holds band secure around the wrist.